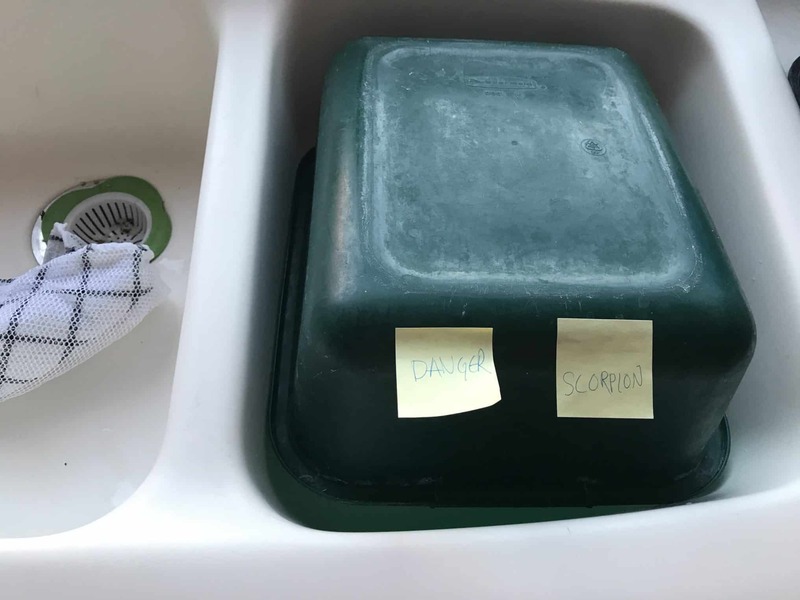 Found this scorpion in the sink, very startling. I don’t have the mental fortitude to deal with this so early, so I trapped it under a mason jar, and then put the dish tub a top it so I wouldn’t have to look at it so the cats wouldn’t go after it. Later in the day Beth helped transfer it outside, where we let it go free.